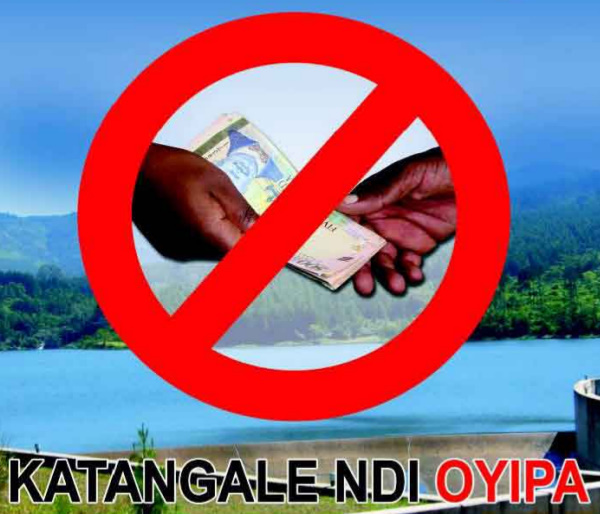 Nyasa Times, one of Malawi’s most popular online newspapers, reported this morning that Paladin, the operator of Malawi’s largest mine, Kayelekera Uranium Mine, has filed an official complaint with the nation’s Anti-Corruption Bureau (ACB). The complaint details that Malawi’s Vice President, Khumbo Kachali, requested a USD 1 million (approx. MWK 360 million) “gift” from the company through a third party. However, Kachali is likely not to have known that this request was being made on his behalf. A journalist, who is said to have been approached by a representative of the ruling People’s Party (PP) with a message to convey to Paladin, requested the company on behalf of PP to financially support Joyce Banda’s government as it had allegedly done with the previous one, under Bingu wa Mutharika. The circumstances of the matter were unusual, insofar as no direct contact was made by the cited political figure to the Company. The message was conveyed via a third party, so the information may or may not have been factual and the named individual may well have had no knowledge of the approach being made in his or her name. The suggestion was also of a “gift” and not a payment in exchange for a specific service such that it would constitute a bribe, so the issue was not as clear cut as you imply. I sought legal advice as to what was the proper course of action for the Company to take in such circumstances. In fact, the advice was that the approach was such a tenuous nature that there was no requirement in law for the Company to draw it to the attention of the ACB. Paladin has not done so with the DPP [Democratic Progressive Party] and would not do so now with the People’s Party. I made this position very clear at the time and I reiterate it now. How can a Vice President use a journalist or let alone a human being of whatever category as an intermediary to a company that he has never had any business with, he does not speak to and has never interacted with formally or informally? In November 2012, the Member of Parliament for Thyolo Thava Lifred Nawena claimed in the National Assembly that a few days earlier a top government official’s child had received MWK 40 million (approx. USD 121,500) from the managers of Paladin Africa Ltd. Paladin responded to the accusations and said they were unfounded and that bribery is a breach of company policy. We blogged that MP Nawena if he had evidence should have lodged a report of corruption with Malawi’s ACB, otherwise, was he just crying wolf? I requested the ACB to investigate the allegations made against Paladin by MP Lifred Nawena, who defamed Paladin and Company executives by claiming in the National Assembly to have evidence of wrong-doing by the Company, yet has not made a formal complaint against the Company nor presented his “evidence” to the ACB.